Did you know that most of the team for this is in higher education? Half of us had other responsibilities, but I think Katori-sensei would forgive us. 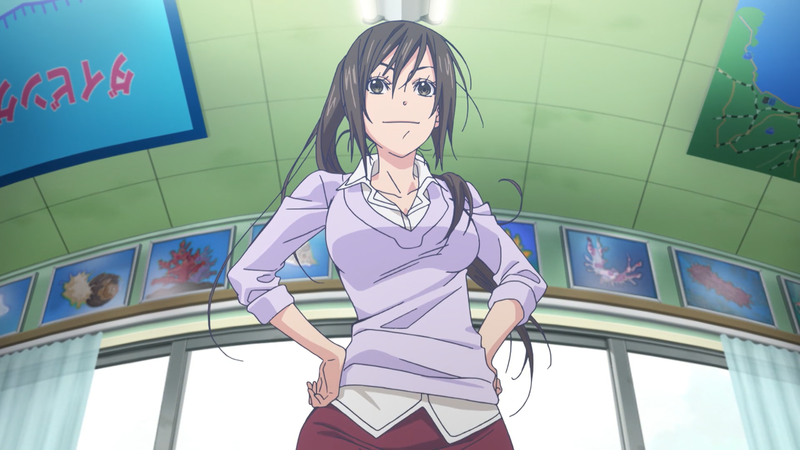 But seriously, I knew it from Aria, but Amano Kozue knows exactly what real teachers should be like. I think she might’ve been one in a past life, if not her current one. This was another fantastic episode. Thank you! You people are doing a beautiful job with this beautiful show. Thank you so much for the hard work you do. I agree I had thought the same thing about Katori-sensei, she is obviously a fantastic teacher, especially the way she gets Pikari to help giving lessons, and how much she understands the importants of learning not only the HOW but the WHY of things. I’m gonna learn so much about scuba diving! As an aside, these subs and the translation are really well done and you capture the spontaneity of the dialogue perfectly. It’s obvious that you care about this show a great deal and are putting your heart into this. Subs like these are why fansubbing is not dead. I want to marry Hikari! Hi, it seems like some styles are broken with players that have a libass backend, the referenced embedded font cannot be found (in this case Helvetica neue and HandOfSeanPro). It’d be cool if you could try out your release with a player that uses libass for the subtitles. This show is really good thanks for the subs, having a fun ride with this one. First, I meant grad school. Second, summer classes exist.